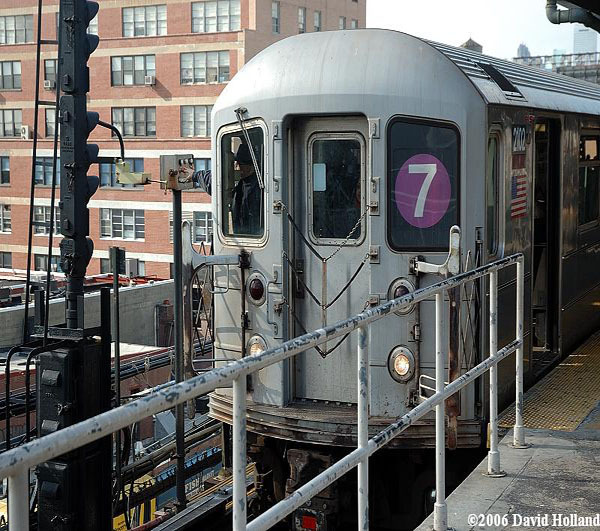 MTA Ready To Screw Up 7 Line Extension…. One of the most unnecessary transit projects has made the news again. The project I am referring to is the 7 train extension that has been in the works for sometime now. As you might recall the extension was supposed to be one of the keys in helping NYC win the right to host the Olympics. We all know how that turned out…. Now it seems that most of the original plans might get scrapped.The MTA is expected to approve a $1.1 billion dollar contract to dig the tunnel from Times Square west to 11th Avenue, then downtown to a terminal at 34th Street. The original plan featured the creation of two new stops with one being at 41st St & 10th Ave. along with the terminal at 34th St. & 11th Ave.
As time went on, the MTA expressed concerns about not having the funds to fully build the stop at 41st St. & 10th Ave. However the agency did say they would look into creating a shell station at the location. While not cost effective, the shell would enable the MTA to fully build the station when funds became available. Unfortunately over the weekend it was announced that the possible creation of a shell station in in danger. The cost of building the shell would be approximately $500 million dollars. The MTA at this point is not coming out of cost to build the extension as that is the city’s responsibility. The city agreed to this deal as part of their plan to develop the Hudson Rail Yards. The dilemma for the MTA is the possibility of overruns. If the MTA were to agree to the shell station being built, they would be financially responsible for any overruns involving the creation of the shell station. The MTA as usual is crying poverty so this is a huge monkey wrench. Mr. Albert is 100% correct in his thinking. While I would personally like to see this extension scrapped as it is not needed, the MTA can not afford to screw this up. It makes absolutely no sense for the 7 to be extended as it is at capacity to begin with. However if you must go through with this, it would make perfect sense for the station to be at a location that benefits the majority of people. I am sure that many would agree that the 41st St. & 11th Avenue station is far more important than one by the Jacob Javits Center! Time’s up! The answer: Second Avenue Subway!